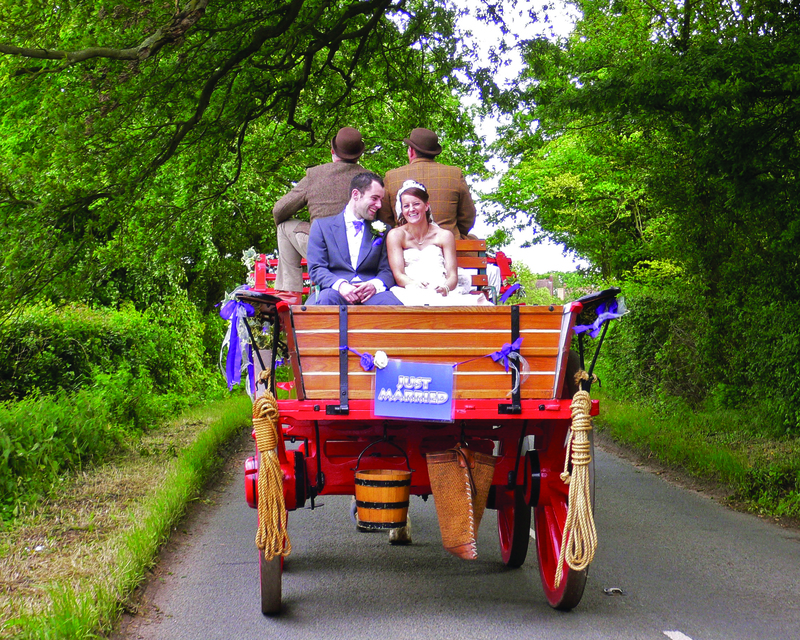 Arrive in style on your special day in a horse drawn carriage from Heritage Horses based at Banham Zoo. The experienced team at Heritage Horses offer a truly unique experience and a bespoke service – tailored specifically to your ideas and needs for your big day. Heritage Horses specialise in conserving and promoting the Heavy Horse breed, and your carriage will be pulled by a pair of magnificent Suffolk Punch’s, the oldest and rarest breed of heavy horse in the world. Horses and carriages come tastefully dressed to match your colour scheme with driver and footman dressed in traditional attire. Please contact your Wedding Planner for further details.